In an interview with Sputnik, Credico said that he conveyed Assange’s message to the Adam Schiff, but he doubts that the congressman will actually go to London to meet with Assange. “I don't think Mr. Schiff is interested in going to London and actually finding out the truth about this whole Russiagate nonsense. He has a vested interest in keeping it afloat,” Credico said. Julian Assange has been living at the Ecuadorian embassy for the past six years and according to Credico, his future situation remains unclear. “He no longer has an Australian passport. The US and British governments are treating Ecuador as if it's not a sovereign nation and not recognizing their right to give him safe passage to Ecuador,” the associate told Sputnik. He went on to say that there needs to be more pressure from the international community because Britain and the US are acting in a very unlawful way and are in violation of international law. Recently there were rumors that Ecuador may soon stop providing asylum to Julian Assange. However, Credico said that if that were to happen, the president of Ecuador would face an extreme backlash from other leaders in the region and from citizens across South America. “He would look like an old fashioned 50s leader of a banana republic that the US once controlled such as Somoza, Bautista or Trujillo. In addition, he would be in violation of Ecuador's Constitution, to be precise article 79,” Credico said. On May 25, Randy Credico told MSNBC that Julian Assange is waiting for Adam Schiff at the Ecuadorian embassy in London, if the Democrat wants to pay him a visit to talk about the 2016 US presidential election. 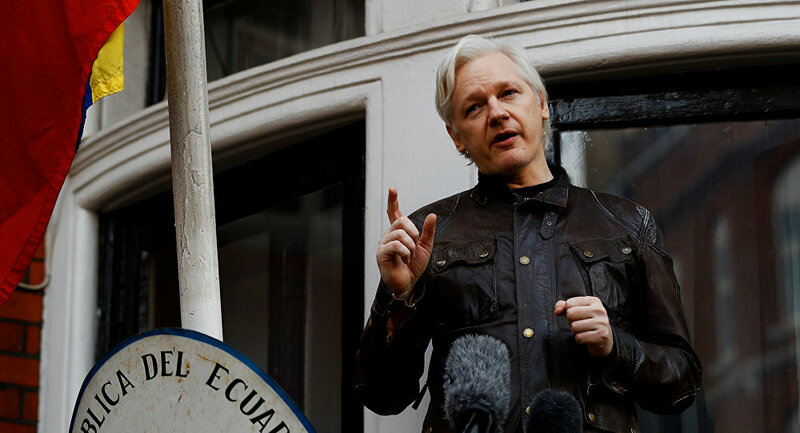 Assange has made it clear that he would only speak to the investigators at the embassy, as he fears immediate arrest and extradition to the United States over the publishing of classified information by WikiLeaks. In March, the US House of Representative’s intelligence committee ended its own Russia investigation, concluding that there was no complicity between Trump's team and Russia. An investigation is still underway, however, led by Special Counsel Robert Mueller. Since President Donald Trump won the presidential election in 2016, US authorities have been investigating his campaign team's alleged collusion with Russian businessmen and officials, suspecting Moscow of interfering in the US election. The claims were made after data from the Democratic National Committee was allegedly leaked via stolen emails by Russian hackers and published by the WikiLeaks. Assange was accused of publishing the secret documents on his platform. Both Trump and Moscow have repeatedly rejected the allegations as baseless. The views and opinions expressed by Randy Credico are those of the speaker and do not necessarily reflect those of Sputnik.